‘Limited Time Magic’ Continues at the Disneyland Resort with New Orleans Bayou Bash! Jambalaya Jazz Band – The popular band will perform their jazzy tunes along the streets of New Orleans Square. 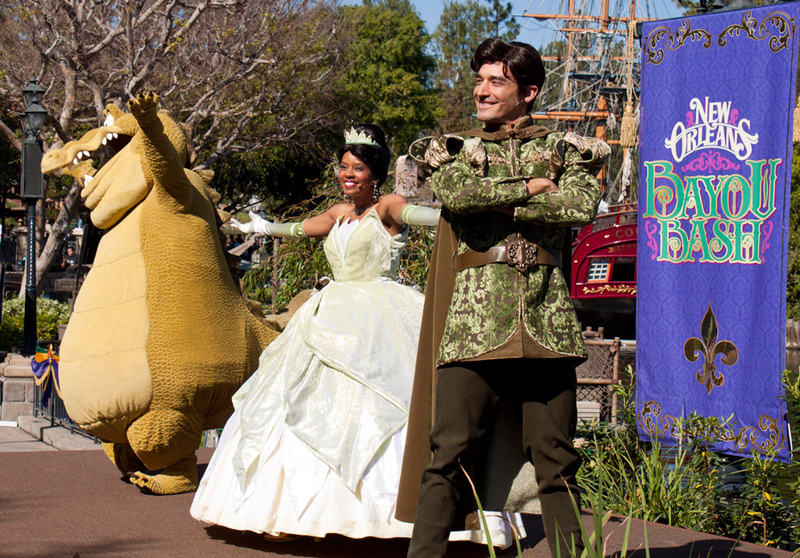 Royal Street Bachelors – This Disneyland favorite will be found at the French Market Stage, and will be joined throughout the day by Princess Tiana. New Orleans Traditional Jazz Band – Throughout the day, a rousing Mardi Gras procession will burst onto the streets of New Orleans Square. In traditional “second line” style, an umbrella dancer leads the mash-up of colorful performers and musicians. Character Greetings at Court of Angels – Princess Tiana will be greeting Disneyland park guests along with Mickey Mouse, Minnie Mouse and Goofy in their Mardi Gras finest.